Did you ever notice that some things in your house seem to multiply like bunnies? In my house its pennies, pens, pencils and ….hangers! Whenever I get an overabundance of something, I like to think of what I can possibly re-purpose them for. 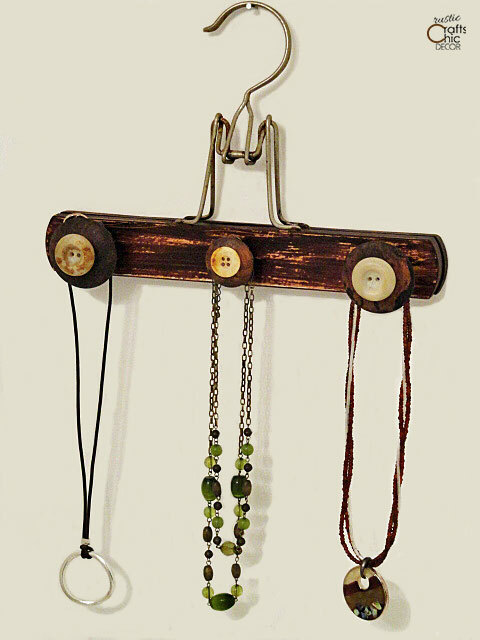 In the case of hangers, I especially like the wooden coat and pants hangers and set them aside for possible use in wooden hanger crafts. 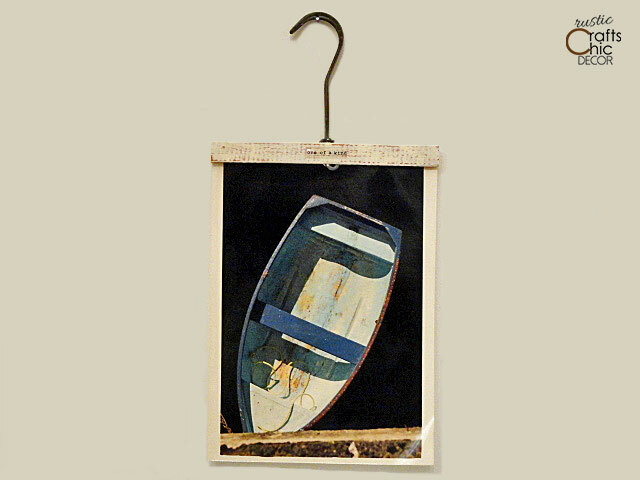 I have been able to use most all of my old wooden pants hangers as fun photo hangers throughout my house. I simply add a few embellishments or paint to them for a little more interest. For this one I just added a little light paint, to give it a distressed look, along with an epoxy button sticker to the top. Since I also have a lot of buttons, it was fun to embellish one of the hangers with a row of shiny mother of pearl vintage buttons. I first painted the wood with a light cream acrylic paint and then glued on the buttons with tacky glue. Another way that I have used my pants hangers was as much needed jewelry hangers. I can hang these on any available wall space in a room or closet. All I do is attach wooden cabinet knobs to the hanger with E6000 craft glue. I then glued a vintage button to the end of the knob for fun. This one I painted lightly with a dark umber paint. Here is a lighter version with the addition of some vintage typewriter keys to the ends of the buttons. I also can always use wall hooks. With a little twisting and prying, I fashioned one pants hanger into a funky little wall hook to hang light items on. 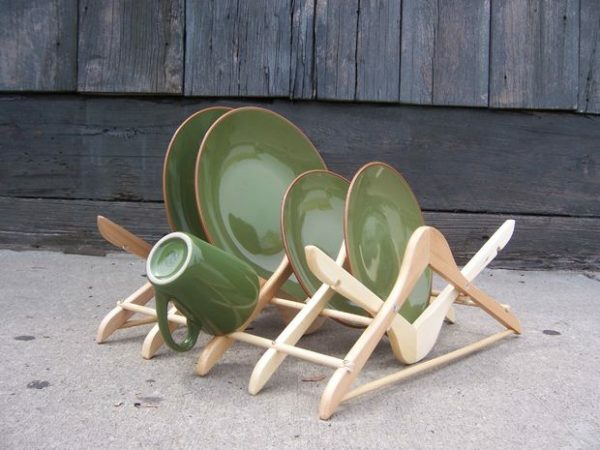 A collection of wooden hangers are put together to form a cool and functional dish drying rack. 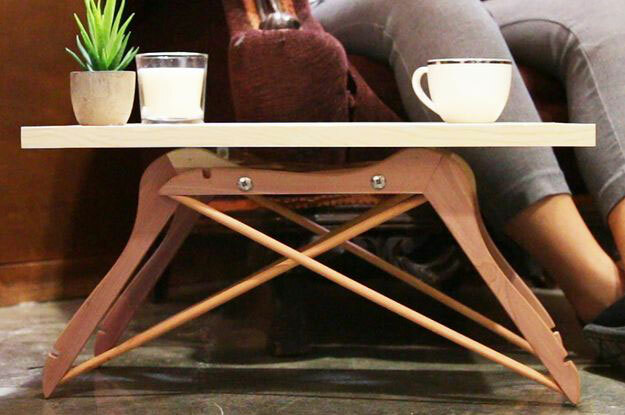 Make an easy side table using wooden hangers as table legs. This idea is great for weddings. 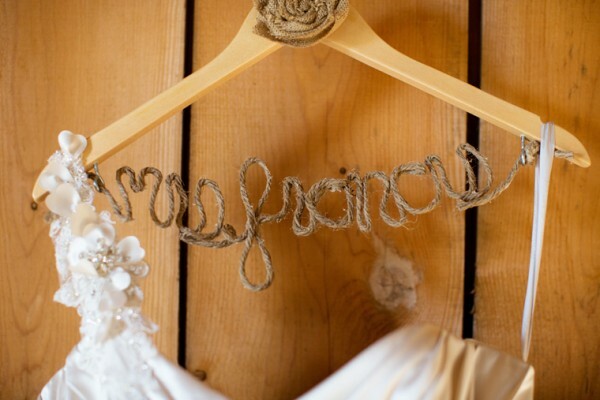 Personalized hangers for dresses would be such a nice touch. 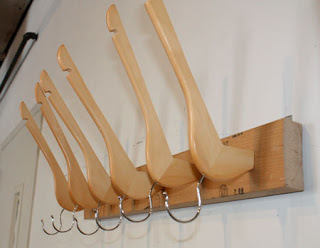 I love this creative use of hangers by RePlayGround for making a unique coat rack. This is most likely a conversation starter. 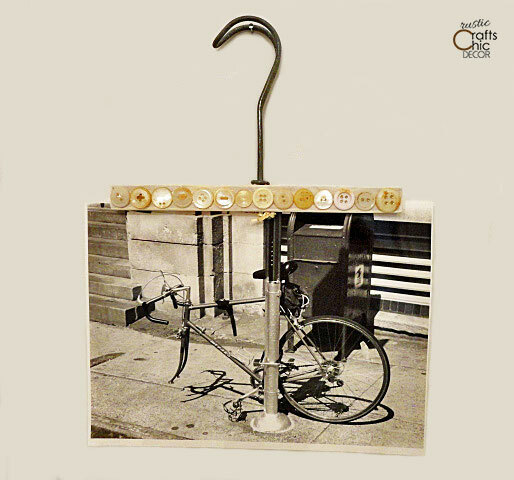 Do you have any fun ideas for hanger crafts? Share your thoughts with us! The hanger ideas are so cool! Will have to tr a couple. Thank. You. You’re welcome Linda! Let me know which ones you try! Love, love, love!! How creative!! Great inspiration!! Hug’s from Ohio . 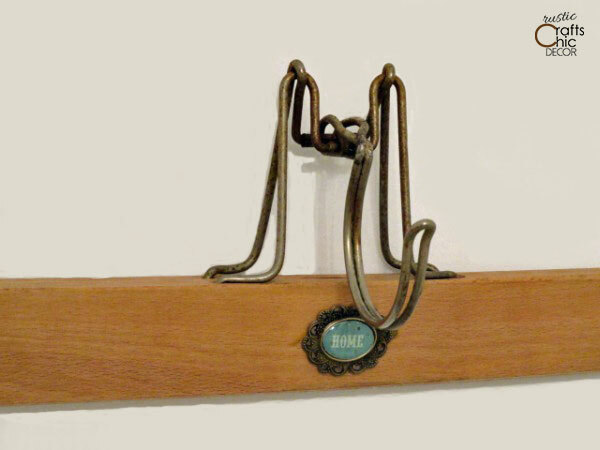 I have been gluing old jewelry to my wooden pant hangers. 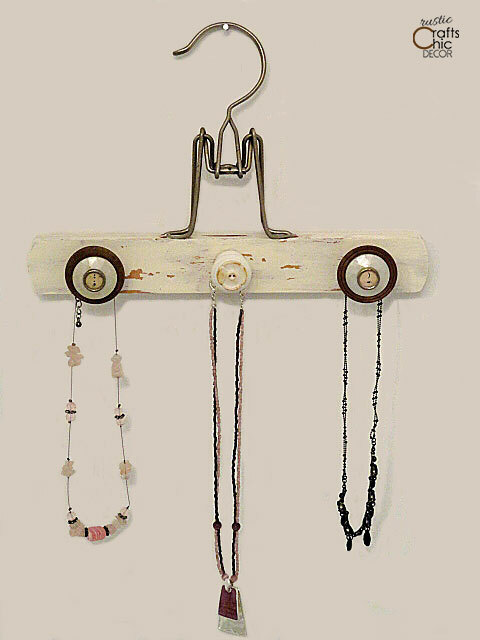 That is a great idea and a good way to reuse both the hangers and old jewelry!